Since 1980, Nanci Kerby has been an internationally recognized photographer, with her work appearing in hundreds of publications, advertisements, and events. Her list of clients includes many Fortune 500 companies, magazines, private collectors, Wineries and newlyweds. Working almost entirely in the Napa Valley, Nanci captures people and landscapes in a way that reflects the local scene, or to speak metaphorically, the valley's 'terroir'. She shoots Spring portraits in the signature mustard fields that precede the April vine growth, and October portraits in the colorful autumn leaves. Nanci works with dozens of Napa Wineries to promote their beautiful vineyards and exceptional wines. In the studio, she carefully lights the bottles, dramatically emphasizing their essential characteristics. Outdoors amongst the vines, she coordinates her photography sessions to compliment the season and achieve the greatest natural lighting for the shoot. 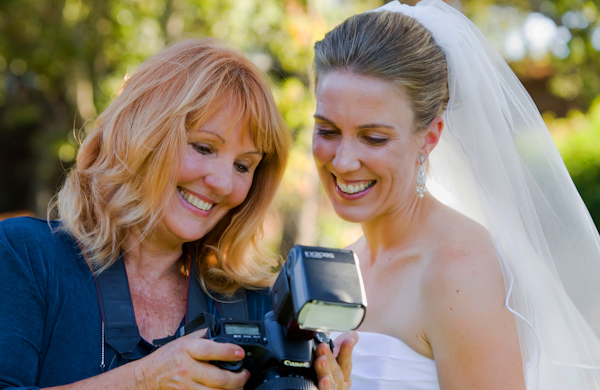 Interacting with people is one of the real joys of being a professional wedding and portrait photographer. Nanci's warm, gently humorous demeanor makes it easy for people to feel comfortable with her, which allows everyone to bring her easily into their personal environment without feeling like they are being photographed by a stranger. This friendly, light approach helps her clients relax and insures that high energy events go smoothly. As a PP of A member, Nanci's goal when photographing weddings is to "tell a story," each one in a unique and meaningful way. Typically shooting with an assistant and several extra cameras, she beautifully captures the essence and emotion of each wedding and all of the party, family and friends. Nanci feels that accepting only 18 weddings per year is the most effective way for her to maintain fresh energy and perspective to provide the optimal situation for each of her couples. Every client receives photo discs with their wedding package to allow you the freedom to create your own personal treasures. When the ceremony is over, they have a personal relationship with their photographer that lasts well beyond the wedding day. Nanci's eye for beauty and storytelling style brings a warmth of emotion and romance to her photographs which her families, brides and grooms, and other patrons can cherish forever. © nanci kerby photography. all rights reserved.